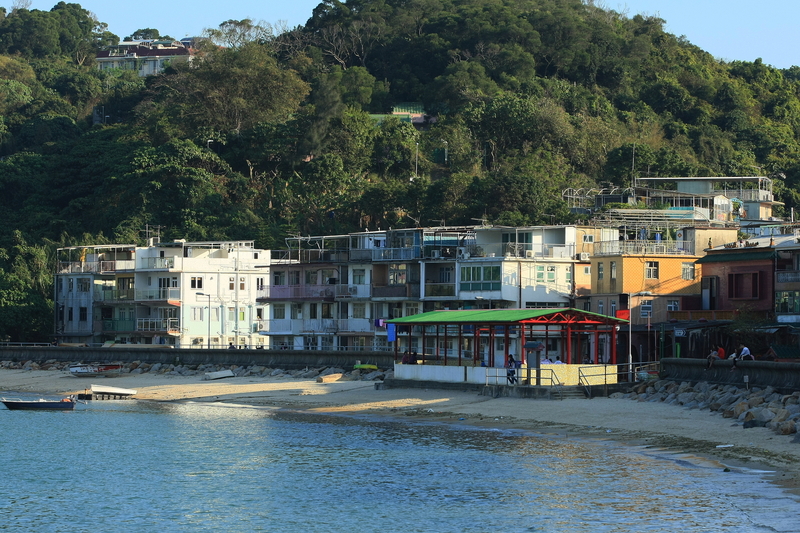 Have you done everything there is to do on Lamma? Is Cheung Chau getting a little too hipster for you? Hong Kong is home to more than 250 islands, so there’s no need for you to keep revisiting the same old spots. And if you’re looking for gorgeous sandy beaches, picturesque hikes and free things to do, these islands have them all and more. 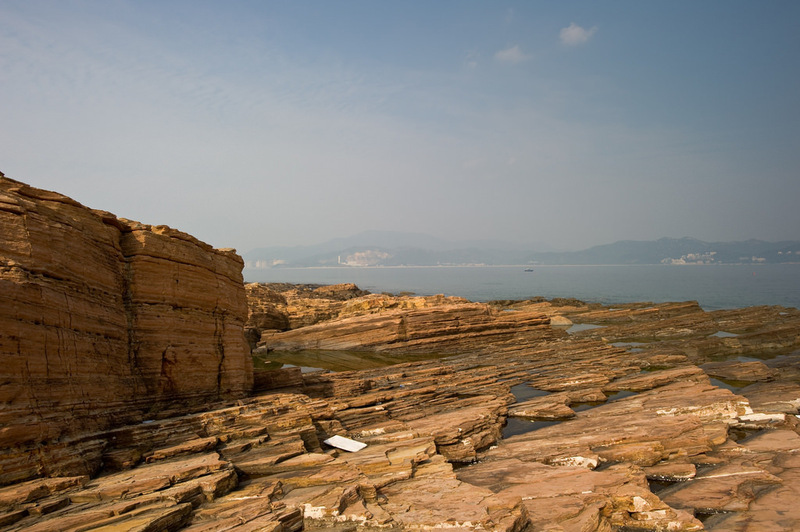 The striking island of Tung Ping Chau (also known as Ping Chau) lies in the very far northeast of Hong Kong and is formed from ‘new’ sedimentary rock, resulting in a brightly coloured, multi-layered and exceptionally photogenic landscape that is perfect for fossil-spotting. The area also has a diverse ecosystem – it’s protected as a Country Park, Marine Park, a Site of Special Scientific Interest and is also listed within Unesco’s Global Geoparks Network. 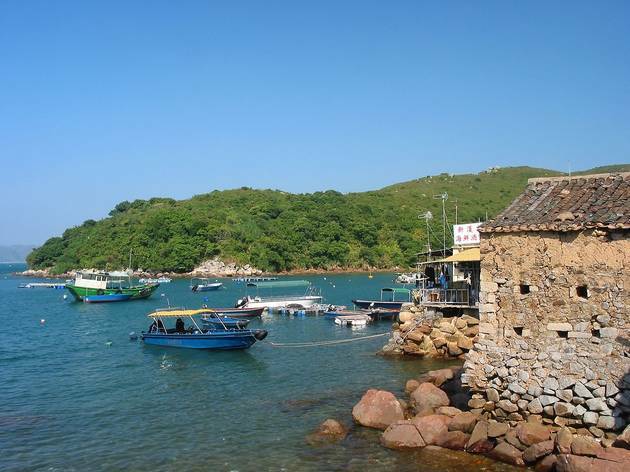 Spend your day clambering cliffs or by taking the 6km looping Peng Chau Country Trail, before taking a dip in the island’s crystal clear waters – look out for the colourful fish, crabs, coral and even sea urchins. After all that, fuel up at one of the few restaurants that pop up on the weekends. Camping is another popular way to see Tung Ping Chau, especially as a way to enjoy some of the best sunrises in the whole territory. Just be sure to take all your rubbish away with you! Middle Island may be small, but it’s wonderfully easy to get to – it’s only a two-minute boat ride away! 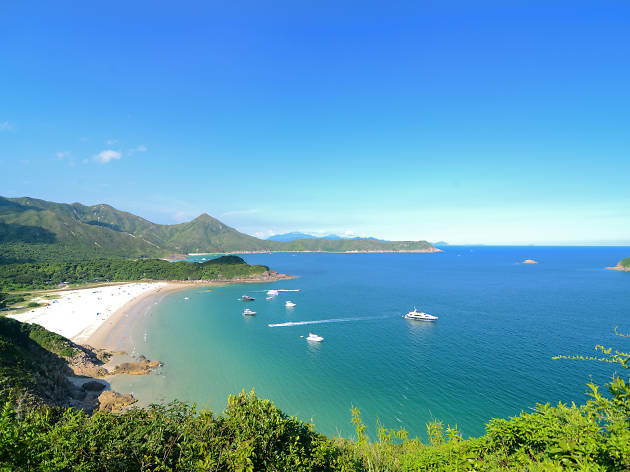 This island is home to the members-only Royal Hong Kong Yacht Club (RHKYC) but also features a quiet, sandy beach that is open to the public. You can get to said beach by jumping on the RHKYC’s free shuttle boat at Repulse Bay. Lie back on the serene, riff-raff-free sand and watch the club boats go past. If you know someone who’s a member of RHKYC, take them along and then you can enjoy their stunning alfresco bar and restaurant area, too. Don’t miss: It’s all about the secluded beach. 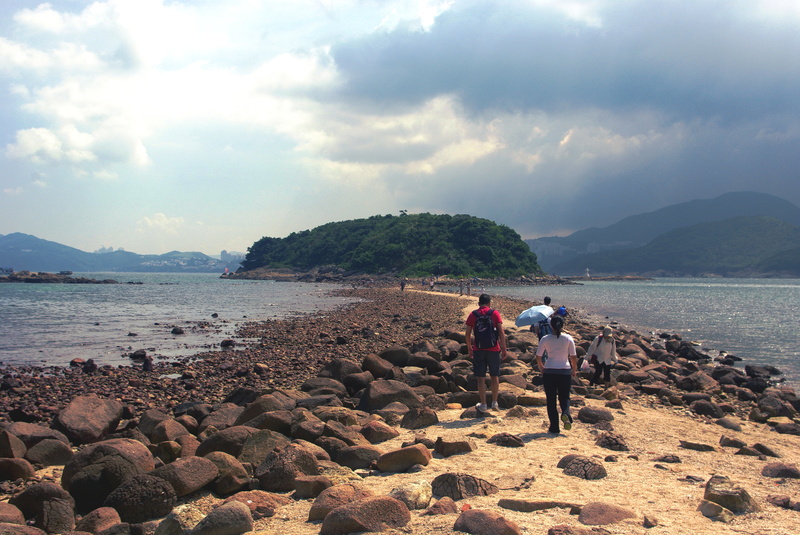 Tap Mun, which sits off the coast of Sai Kung Country Park, is also known as Grass Island. The 1.7sq km island is composed of rolling, grassy hillocks complete with wandering cows and is also home to a few hundred Hakka and Tanka people. The island has an exciting history as a smuggling and pirate haven, although its now-sleepy streets belie this. 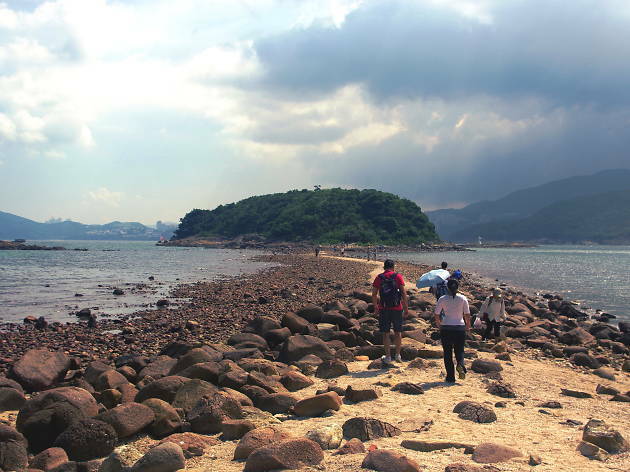 Tap Mun is a popular spot for both camping and kite-flying, and also boasts several rocky beaches. Spend an afternoon here by taking a stroll along the paved 2km footpath that starts out at the fisherman’s village by the pier and ends up on the hilltop in the middle of the island. The path offers panoramic views and a refreshing breeze, even on the hottest day. Once you’re all hiked out, head back down to the village’s main restaurant, Sun Hon Kee (Tap Mun Hoi Pong St) to refuel on seafood. Make sure you also try some of the island’s famous ice-less iced milk tea. Tap Mun is home to a trio of temples, located near the main village, which date back to the 18th century. Legend has it there was once a pirate’s tunnel that led from the altar of the Tin Hau temple all the way out to the sea. Also, make sure you take a look at the abandoned King Lam School on the hill above the village. It was built in 1957 and, when it closed in 2003, famously had only one pupil. Don’t miss: The gentle, winding trail over the island, with its year-round cool breezes. 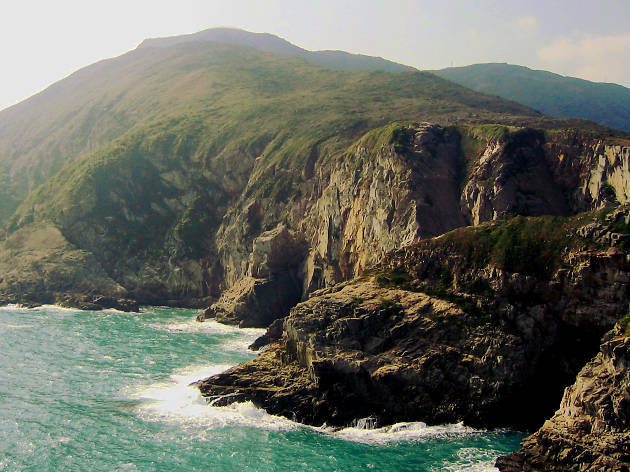 Rough, rugged and wild, Tung Lung Chau is the craggy cousin of Hong Kong’s island family. It’s regarded as the best place for rock climbing in the territory, with multiple routes of varying difficulty. There’s a campsite on the northeast of the island, about 20 minutes’ walk from the ferry pier. Close to the campsite is what now remains of Tung Lung Chau Fort – built between 1662 and 1722 it used to defend the island from pirates, but it’s somewhat rundown nowadays. There’s one main paved trail on the island, which loops from the pier to the top of a hill, offering great views. This trail passes by the largest and oldest rock carving in Hong Kong – measuring 1.8m by 2.4m, it’s (apparently) a depiction of a dragon and is said to be over 5,000 years old. The main path isn’t too challenging so if you want some adventure you can try out one of the smaller trails back down from the hill. Be warned, however – these can get tricky. If you’re interested to climb here, there are several local groups who make regular trips, although be prepared for crowds on weekends. Check this guide for more information. Don’t miss: Get the chalk bag out – it’s all about the climbing. Lying close to China, in the northeast of Plover Cove Country Park, this far-flung island is home to a few hundred people. The 2.4sq km isle is also known as Crooked Island, thanks to its irregular shape. Getting here is far from easy, but that very fact makes it all the more interesting – the quiet streets here are time capsule-esque. You should first stop by at Kat O Geoheritage Centre (142 Kat O Main Street) – open every Saturday, Sunday and public holiday (except Lunar New Year) from 10am to 3.30pm. Opened in 2010, it celebrates the island’s geology and cultural history. You can also take a wander along the Kat O Nature Trail – this short path winds through the villages before heading upwards and finishing up at a pagoda. Look out for the ancient temples, ancestral halls and three corroded cannons along your way. Don’t miss: Kat O Geoheritage Centre. A 15-minute boat ride from Sai Kung, Yim Tin Tsai wins hands down if you’re into the abandoned vibe. 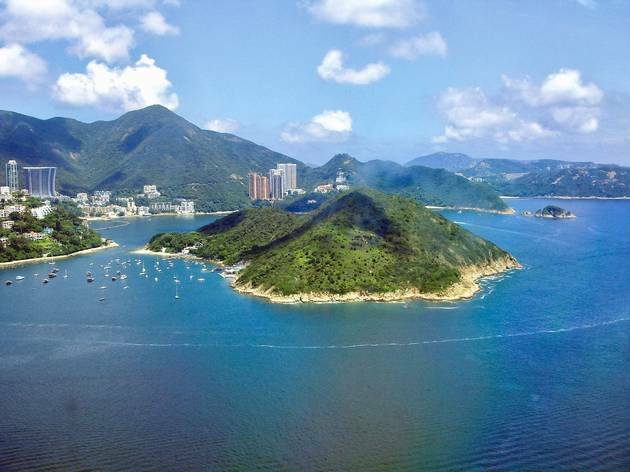 The island was originally populated in the 1740s by a family from Guangdong. The descendants of these people developed salt farms on the island and made their living selling the salt – the island’s name literally means ‘small salt field’. There were once around 1,000 inhabitants. However, as the salt industry declined in the early 1900s, so did the population. By the 1990s, no-one was left living on the island. Thanks to a regular ferry service, however, it’s now popular with day trippers. You can easily explore most of this tiny isle in a few hours. Once you arrive at the pier, check out the nearby photogenic St Joseph’s Chapel, which was built in Romanesque style in 1890 and is now a Grade III listed building. Next door is the former Ching Po School that is now the Yim Tin Tsai Village Heritage Exhibition and houses a modest collection of historical artefacts. You can then follow the trail around, and you’ll go by the abandoned village houses (many of which are technically still owned by the villagers’ descendants). The houses still offer spooky remnants of the last people to live there, from radios, kitchen appliances and televisions to bed stands and crockery. The path takes a loop past the abandoned salt pans/fish ponds, before coming back to the pier, where there is a small kiosk selling tasty and chewy Hakka sweets. Don’t miss: The spooky, yet fascinating abandoned houses. 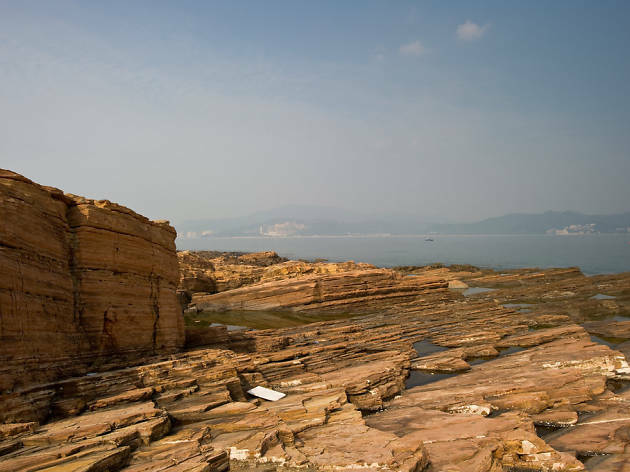 Not far from Sai Kung, the 2.5km-long Sharp Island is known for being strewn with rocks that are endearingly shaped like pineapple buns – you won’t find these tasty-looking rocks anywhere else in the territory. 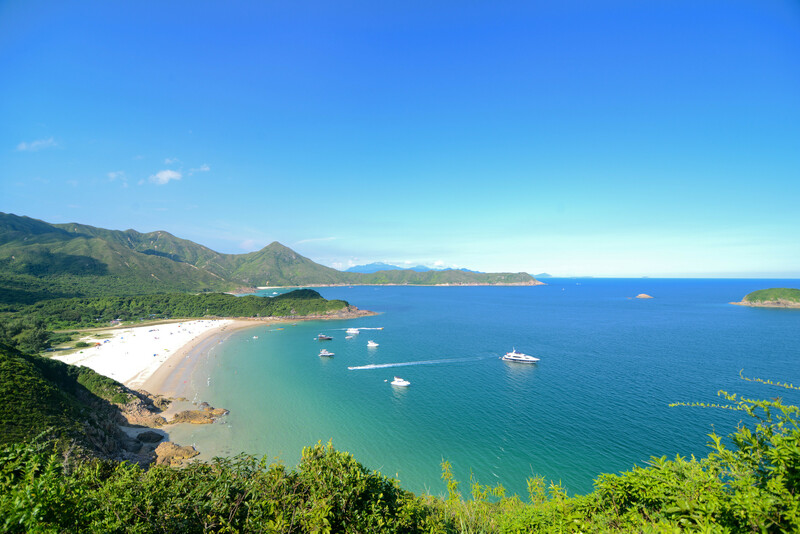 The principal attractions of Sharp Island are its two distinct beaches – Hap Mun Bay and Kiu Tsui Beach. 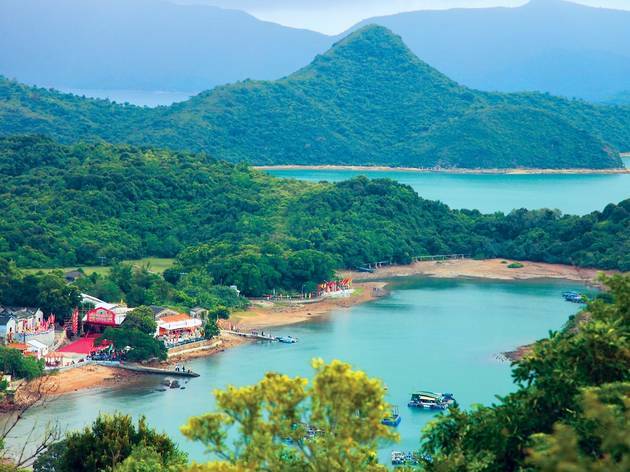 You can take a boat to the beach of your choice from Sai Kung. There is a path over the island, but it is overgrown; we recommend using a map if you try to locate it! Hap Mun Bay is a popular and clean government-managed beach. Kiu Tsui beach isn’t as good, but when the tide is low, you’ll discover a tombolo connecting the beach itself to the nearby island of Kiu Tau. Take a walk over the tombolo as the sea recedes and you’ll feel like a veritable Moses. Just make sure you come back before the tide comes in. Don’t miss: Walking (kind of) through the ocean over the tombolo, on to Kiu Tau. 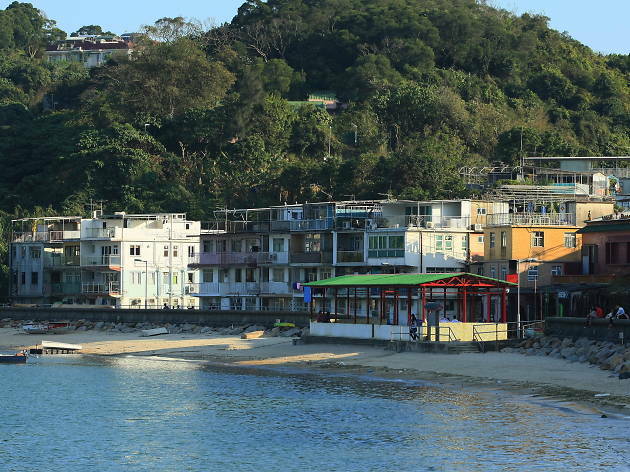 Peng Chau is one of the better known outlying islands, but is still often overlooked in favour of its larger neighbours Cheung Chau and Lantau. This sleepy spot makes a perfect family day trip – at under 1sq km you can easily negotiate the whole place in a few hours. In the 1970s Peng Chau was an industrial centre. 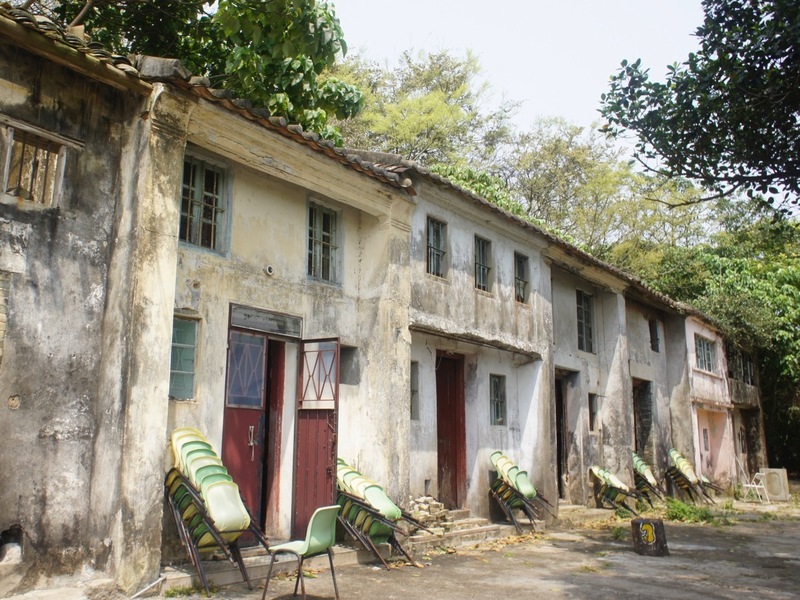 That’s changed now, but you can check out a long-abandoned matchstick factory (near Kam Peng estate) and lime kiln (2 Nam Wan Shan Ting Tsuen), as well as an old cinema along the Peng Chau Heritage Trail. To explore further, you can take a stroll along the Peng Chau Family Trail and up Finger Hill to take in views of the Tsing Ma Bridge and Disneyland. Another option is Peng Yu Path – this recently created walk takes in the island’s northern coastline and rugged beaches. When you’re done, try the catch of the day at one of the seafood restaurants along Wing On Street. Don’t miss: The fresh seafood fare. It’s incredible that only a few kilometres from the hustle of Hong Kong Island there is a place inhabited by people who have no official electricity and no running water supply. 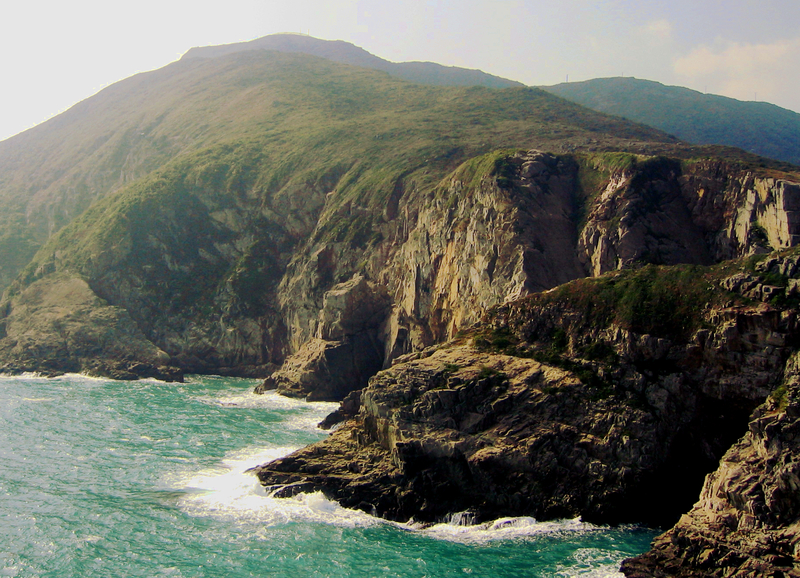 This is Po Toi – a serene and scenic island that lies to the southeast of Hong Kong. It used to be home to over a thousand people, although the population has dropped to under 200 in recent times, resulting in several streets of eerie, abandoned village houses. There’s one main path on the island, the Po Toi Country Trail, which loops over the south of the island in a figure-of-eight. The coastal section of the walk is shorter and easier, and can be completed in well under an hour. This loop takes in Po Toi's photogenic lighthouse as well as some dramatic and unusual rock formations – let your imagination fly as you spot the famous Turtle Climbing up the Mountain, Monk Rock and Palm Cliff, among others. You can also take a short detour down a cliff and come face to face with two large Bronze Age carvings – now declared monuments. Back down near the village, try the 15-minute signposted detour up to Mo's Old House – the abandoned residence is reputedly haunted, thanks somewhat to the coffin-shaped rock that stands behind it. Finish up your day at the small village down in Tai Wan – the whole village is powered by a noisy, old-school electrical generator, which you can go and check out for yourself. Ming Kee seafood restaurant is highly regarded for its black pepper squid. 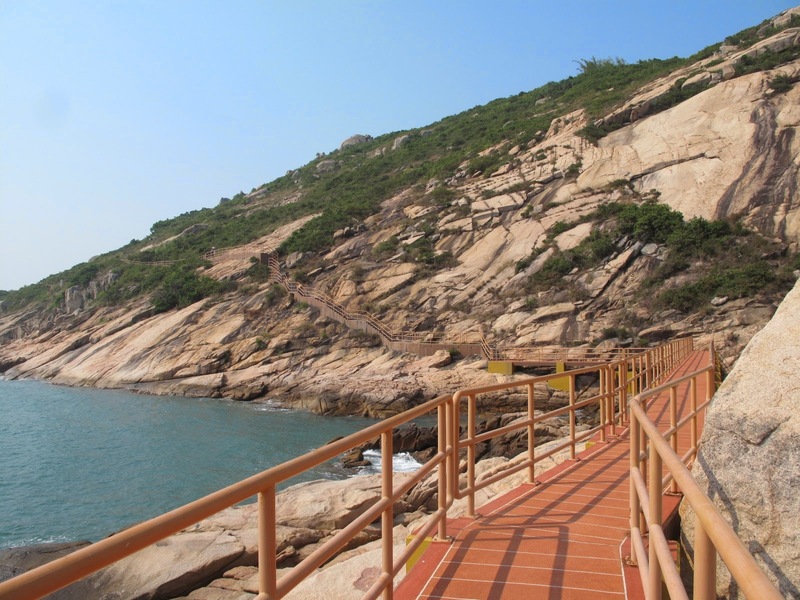 You can also wander up to the Tin Hau temple – scenically perched on a rock to the far left of the village, it gives you really great views over the island and the surrounding ocean. Don’t miss: The rocks! Coffins, turtles, monks, palms and more – let your imagination run wild. Want more of the island life?